Mt. 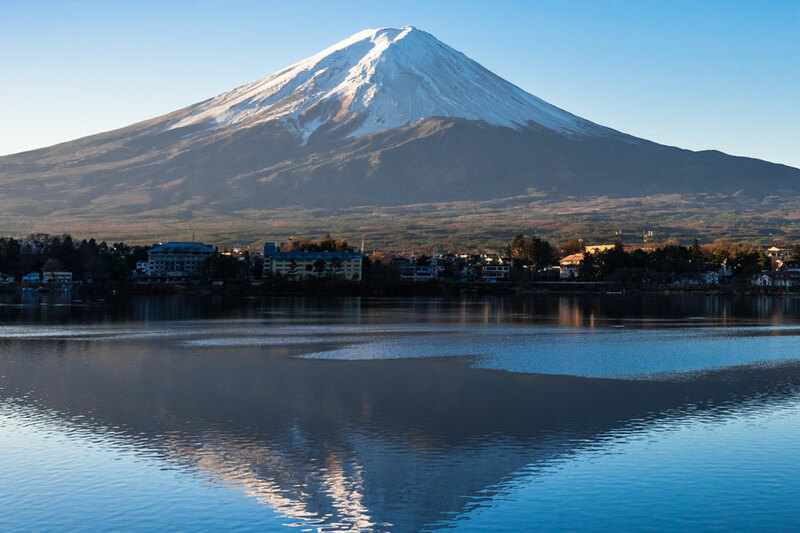 Fuji--one of the most well-known symbols of Japan.Lake Kawaguchi, also known in Japanese as Kawaguchi-ko, offers stunning views of this iconic mountain, making it a not-to-be-missed sightseeing destination. Kawaguchi-ko is counted as one of one of the five lakes located at the foot of Mt. Fuji in Yamanashi prefecture. The so-called "Fuji Five Lake" region is famous for forming a part of the UNESCO World Cultural Heritage Site known as "Fujisan, sacred place and source of artistic inspiration." The area around Kawaguchi-ko is a mountainous one, meaning visitors can enjoy cool weather in the summer. Bellflowers, cosmos and other flowers bloom in the vicinity, making it a pleasant location for walking. In the autumn, the spectacle of the surrounding trees changing from green to yellow and red create a gorgeous landscape together with Mt. Fuji. There are also five natural hot springs located at Kawaguchi-ko: Reiho-no-Yu, Tensui-no-Yu, Reisui-no-Yu, Fuyo-no-Yu and Shurei-no-Yu. These are famous together as "Fujikawaguchiko Onsen." Fujikawaguchiko OnsenThe ability to gaze out at Mt. 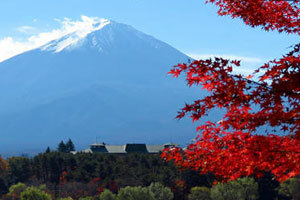 Fuji from the comfort of a relaxing hot spring bath draws many visitors each year from both within Japan and overseas. 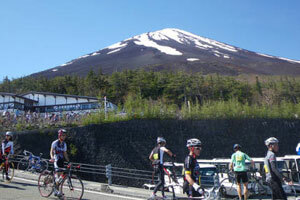 With its large size, Kawaguchi-ko offers differing views of Mt. Fuji depending on whether you are staying at the northern end or the southern end of the lake, and it is fun to divide your visit between different lodgings in order to enjoy a variety of observation points. 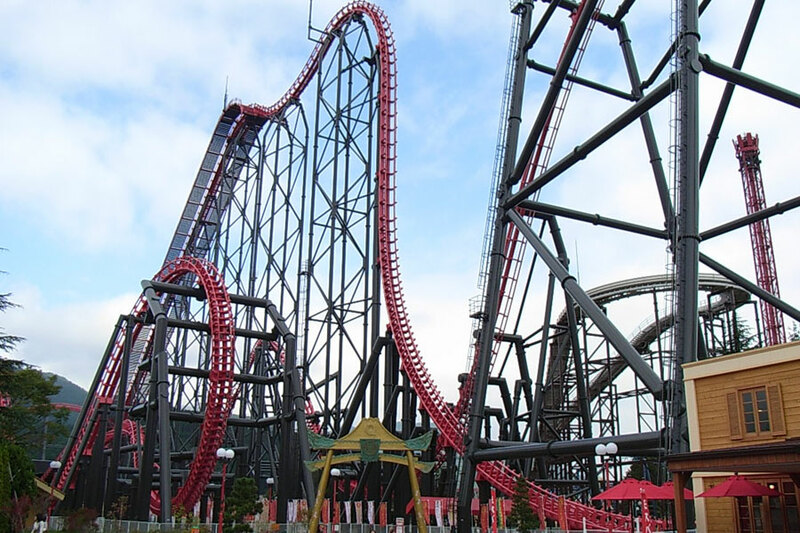 This theme park is popular for its nationally leading collection of thrilling attractions, including the Guinness-registered "Takabisha" and "Eejanaika" roller coasters. 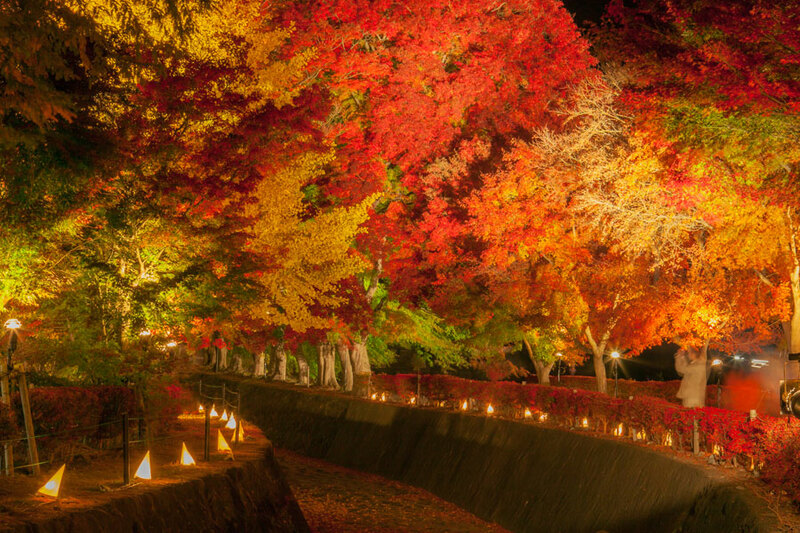 The area around Kawaguchi-ko is a popular spot for viewing the splendor of the autumn leaves. In particular, the "Maple Corridor" is a road where maple trees have been planted over a distance of 1.5 km and is popular as the main venue of the festival. Aokigahara's Fugaku Wind Cave and Narusawa Ice CaveThese sightseeing spots are located in the forest spreading around Kawaguchi-ko. 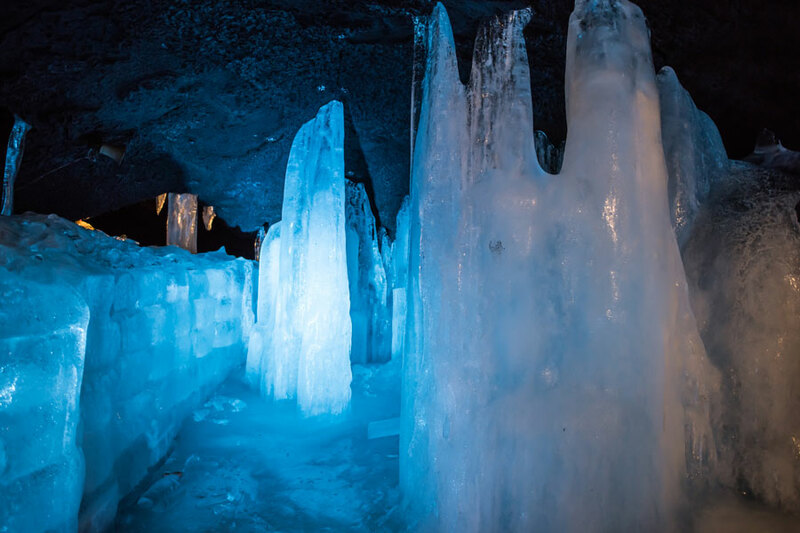 In these two caves, which were formed by a volcanic eruption, visitors can discover icicles, present even in the summer, as well as lava shelves and lava ropes. 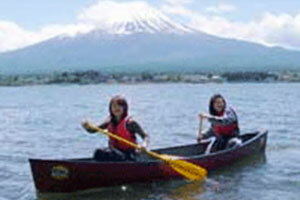 Enjoy Kawaguchi-ko in a Canadian canoe near Mt. Fuji! Gaze up to majestic Mt. Fuji as you paddle your way through Kawaguchi-ko in a Canadian canoe and enjoy a day out in nature and the beauty of the landscape from the water!All groups are accompanied by an instructor who will assist and guide you. Visit Mt. Fuji, Japan's iconic mountain, then cycle around beautiful Kawaguchi-ko and enjoy the beautiful scenery of Asama Shrine and Ohashi Bridge with a guide. Enjoy a 10 hour private car sightseeing tour with driver and translator. Perfect for one day trips to Mount Fuji and lake Kawaguchi-ko. Go anywhere you like at your own pace! Pick-up available at your hotel in Tokyo and Chiba prefecture. Check out Voyagin for more activities in Kawaguchi-ko!